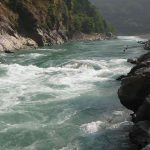 Karnali, the longest river in Nepal, originates in the holy Mt. Kailash in Tibet, and flows through deep gorges, deserted beaches and steep canyons. 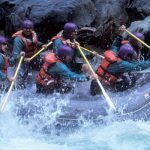 Karnali rive rafting is One of the best river trips in Nepal, the karnali run can last up to ten fun-filled days. 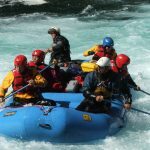 The mild Class III to fabulous Class V rapids make the ride an unforgettable one, and combining fishing or jungle safari with the trip adds another dimension to the great adventure. Rapisd: Captivity, Flip & strip, God’s House, Elbow and Sweet Well. 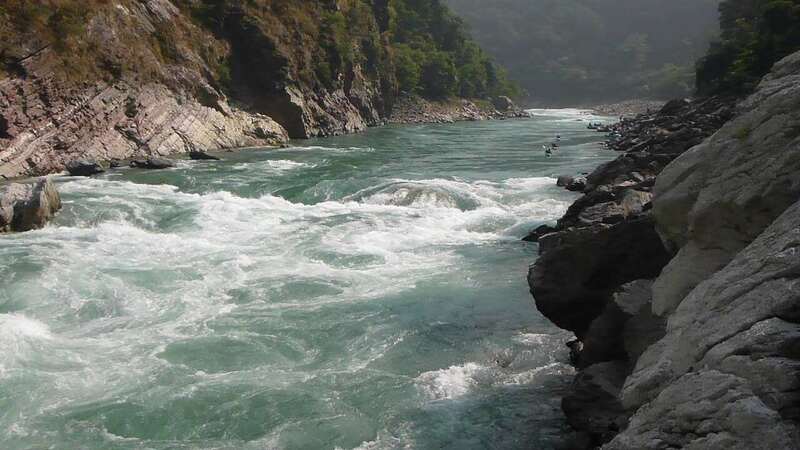 The Karnali is also famous for Mahseer fishing. 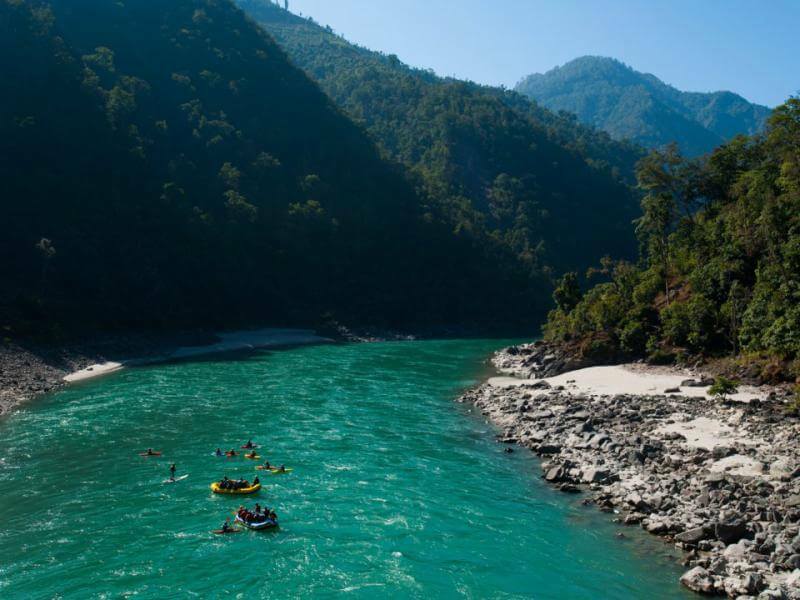 Far removed from urban influence, this is a remote region of Nepal with frequent sightings of diverse wildlife. 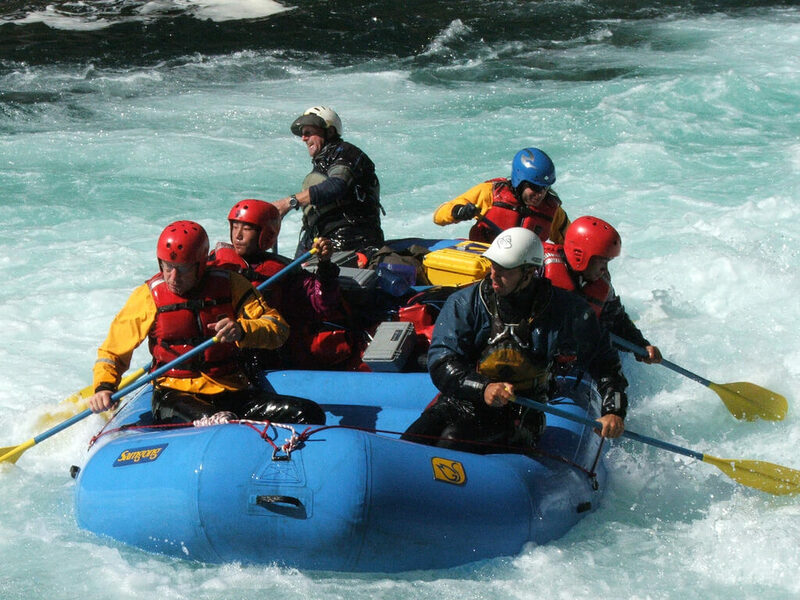 The river is demanding with encounters of massive rapids that test the skill of rafters. 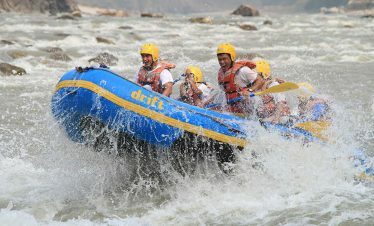 For thrill seekers looking for an adrenaline high, it has a 7km roller-coaster ride through a fabulous gorge. 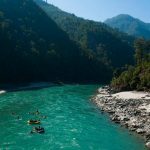 Karnali River Rafting journey to the river starts with an hour-long flight to Nepalgunj and a drive to Surkhet. The put-in point at Tallo Dhungeshwor is reached after a six-hour drive through lovely sal forests. 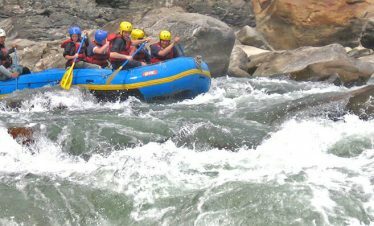 Exciting rapids are encountered from Day One. 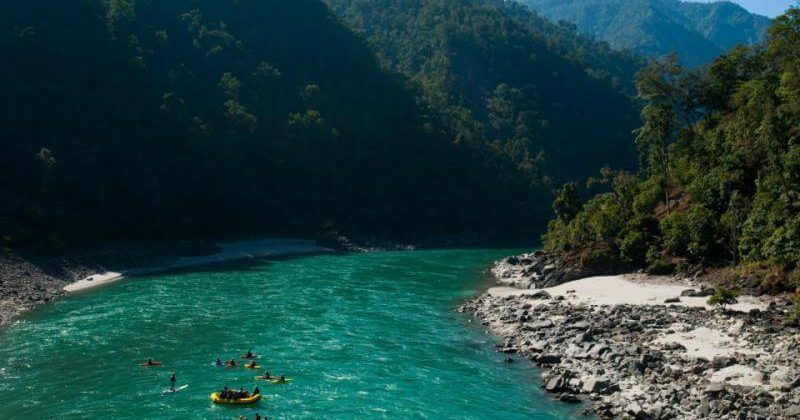 The river takes rafters through the pristine Bardia National Park and the trip ends below the spectacular Chisopani Bridge which is the longest suspension bridge in Nepal. 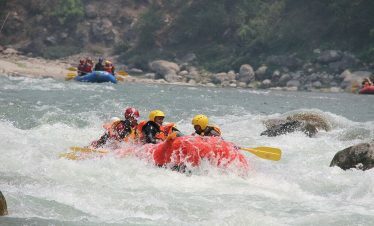 Karnali River Rafting is quite difficult because of its em rapids. This river has very clean water. 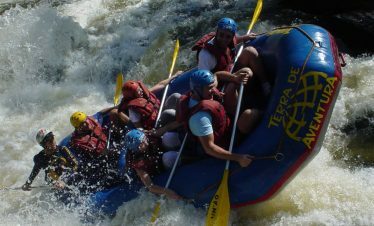 One can see many wild life as well as river dolphins during the trip. 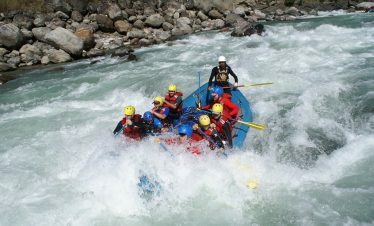 Karnali River Rafting trip is possible after long trek to reach the starting point. 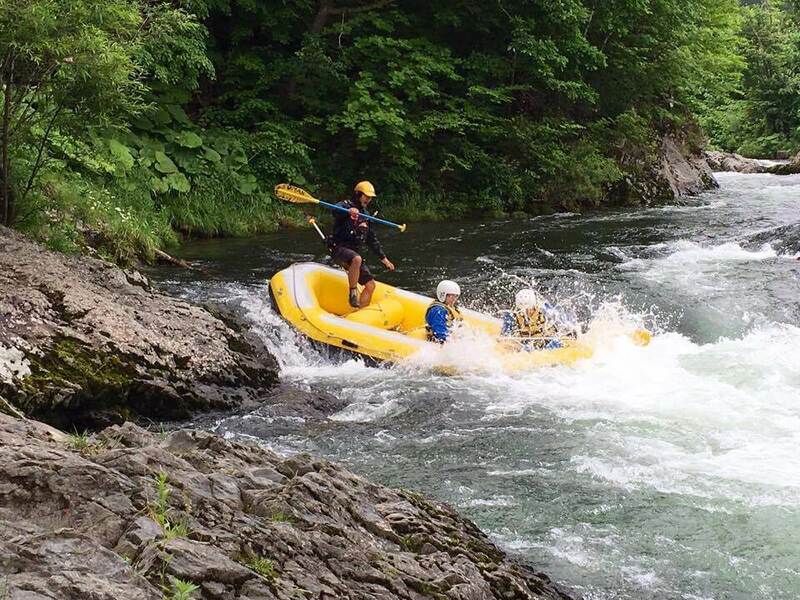 Main features of the rafting are the magnificent forest scenery, spectacular rock formations, waterfalls, deserted White River beaches and rare wildlife and many local and migratory birds. 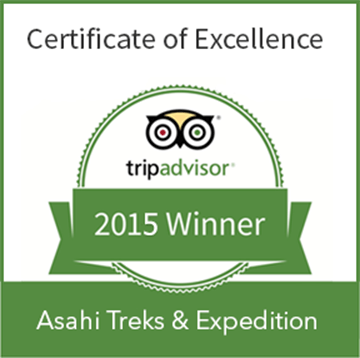 Day 01:We travel to the far west and arrive in Surkhet by bus or Car. 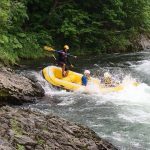 Day 03:Raft hours and camping on beach. 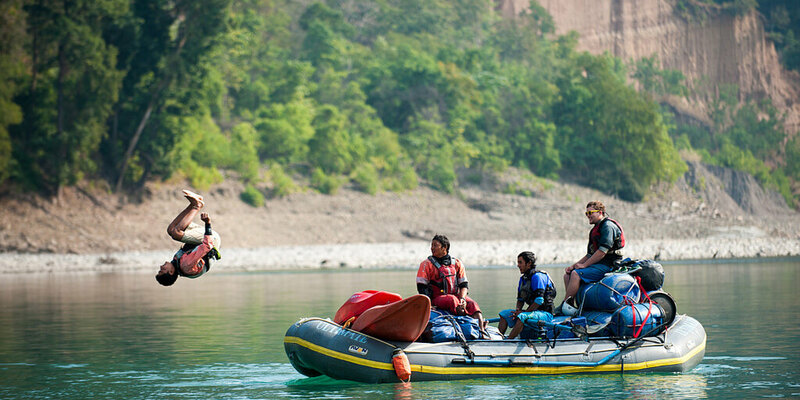 Day 04:Raft 5 hours and Camp at beach in between of Jungle. Day 05:Camp at the Seti Dovan and relax. Day 07:Rest day for dry the clothes and Explore. Day 10:End this trip in the early afternoon at Chisopani.